Which tomatoes performed best during this challenging season? 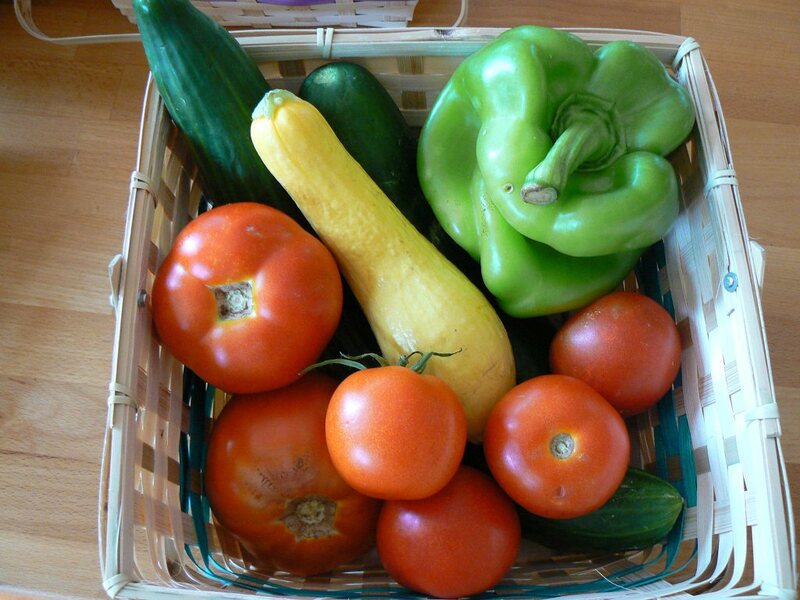 Between the Victory Garden at Kent County Middle School and my home garden, I planted 9 different varieties. 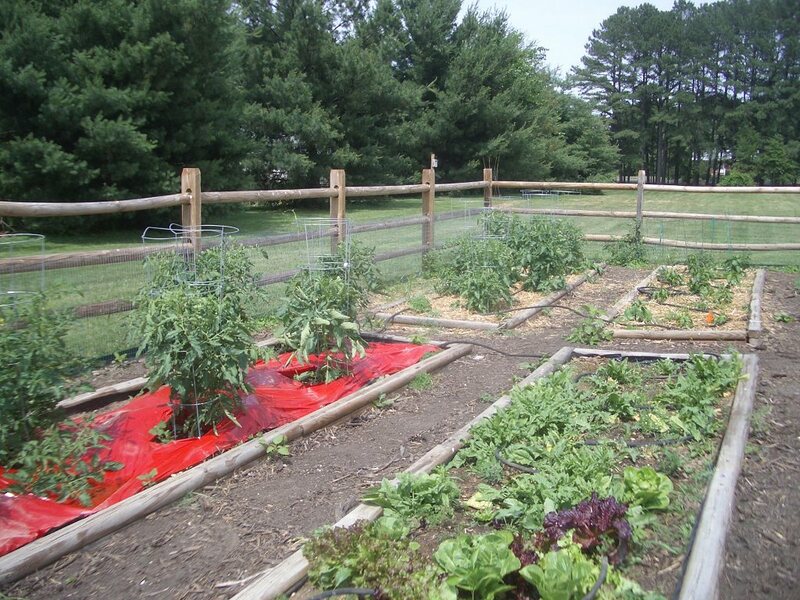 At the Victory Garden, we covered one bed with red plastic mulch and one with straw. The first observation is that the bed with the plastic mulch did indeed do a lot better, as the experts claim, than the bed covered with mulch. In fact, by the middle of September, the vines in the bed with the red plastic mulch were still doing okay, whereas several plants in the other bed had died already. Now for the cultivars: as always Celebrity Hybrid and Early Pick performed steadily and well. They both produce nice size tomatoes. They start early and they keep going after other tomatoes are done. I have never liked beefsteak tomatoes but I thought I should give them a try. After this season I must say, I still don’t like beefsteak tomatoes! First of all, they took forever to turn red; not just in my gardens, but this was a complaint all over the county. Secondly, they take so long to grow that between the hot temperatures, downpours and insects, we actually did not harvest many edible tomatoes of these plants. Sure, the ones that we did get were gigantic, but I think over the entire season they produced a lot less than other plants. Heirlooms. We tried three different varieties: Amish Paste, Mr. Stripy (like Striped Zebra) and Black Krim. I wish I had something good to say, but Mr. Stripy and Black Krim were an absolute bust. The tomatoes went from not ripe to rotting in no time, or they started to rot before they were ripe. They also seem to have been the favorites of all the critters that like to munch on tomatoes. Since heirlooms don’t have much disease resistance, the plants got sick fairly early in the season. As for the Amish Paste the verdict might still be out. The plant in the bed with the straw died in mid July. The plant in the bed with the red plastic was still doing pretty well by mid September. The problem with this plant was that the bottom part of the tomatoes would be very ripe, while the top part stayed green. Eventually we got all red tomatoes, but that was at about the same time that it didn’t stop raining: all the tomatoes cracked severely. Maybe it is just me! So far I have not grown a paste tomato that does well. If you have grown paste/roma tomatoes successfully, I would love to get some suggestions! Big Boy/Better Boy. They both seemed to perform pretty well, all things considered. Perhaps Better Boy did a little bit better, but there was not much of a difference. Long Keeper. This plant produces tomatoes that you can keep in your house for a long time. The tomatoes are a nice small size and there were a lot of them. The problem is the taste, in particular the skin. I guess you can save these tomatoes longer because they have a really thick skin, kind of unpleasant. To an extent, these tomatoes reminded me of the ones you buy in the store. So, although the plant performed well , I am not sure I will plant it again. I had two more varieties in my own garden: Tomosa and Juliet. I have grown Tomosa for three years now and I SO want to like this plant. It makes beautiful 4 oz tomatoes, it produces early in the season, then it slows down and keeps producing until frost. What is not to like? Well, it is more suitable for a European climate and ultimately I am not sure it can really withstand the high humidity and crazy rain. I did not harvest an edible tomato of this plant since early August. When it is happy, it makes great tomatoes. The question is, is it happy here? Last but not least, Juliet. Yes, I did save the best for last. This is a keeper!!! This is a grape tomato, recommended by our state Master Gardener, Jon Traunfeld. Well, obviously Jon was right! The tomatoes are about twice the size of a cherry tomato and they are possibly the sweetest tomato I have ever eaten. The vine produced all summer long, but not in the overwhelming crazy way that a cherry tomato does. It was still producing beautiful tomatoes in October! This variety was the success of the season; it will become a regular in my garden! Now I am curious whether you grew any tomatoes at home this year. If so, do you have any observations/recommendations you would like to share? I would love some suggestions for next year. Anne, thank you so much for sharing!The “Speckled Roman” looks very beautiful! I swore after this year I would not grow gigantic or heirloom tomatoes ever again. Your post may persuade me to give it one more try! Another vote here for Speckled Roman – I had a good crop and only short-lived problems with blossom end rot during the worst part of the summer. Beautiful fruit and the interior is solid and meaty with good taste. Can't resist talking about tomatoes…I klove paste type tomatoes and always plant 'San Marzano', 'San Remo' when I can find seeds, and 'Amish Paste'. Sabine you are right about their uneven ripening so I bring them indoors when the bottom half starts to color. That reduces the chance of bad stuff happening to them on the vine. In 2009 'Speckled Roman' did poorly for me. I'll have to try it again. Bob Orazi, one of the HGIC consultants gave me seeds of a large 'San Marzano Sicilian' that was very good. I saved seeds and will try to increase the seed harvest next year so I can share them. I also have had bad luck with 'Black Krim' and other Russian and East European cultivars. The skin cracked quickly and they went from green to mush in no time flat. I grew 'Jet Star' and 'Supersonic' two old hybrids from Harris Seed Co. that I grew in the 1970s and had very good luck with them this year.